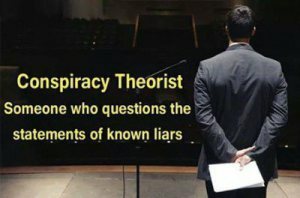 In recent days, I have been in communication with several journalists who have been writing about issues that pertain to an issue in which I have some expertise: the alleged safety and efficacy of the huge number of neurotoxin-containing vaccines that are rather cavalierly administered to babies as young as 1 day, 2 months, 4 months and 6 months, ages in which their blood-brain barriers, their immune systems and their mitochondria are at their most immature and most vulnerable to toxins. Human Vaccinosis: Minnesota to Expand the Spread of Vaccine Induced Disease and Illness? Note: A hearing was held on March 18th, 2015 in the Minnesota Committee on Health, Human Services and Housing regarding the intended forced vaccinations of all Minnesota residents. Observers reported a massive number of pharmaceutical lobbyists scurrying in and out of the offices of committee members and other legislators offices. The vote to pass this assault on Minnesota residents passed 6-4. The audio for this meeting disappeared, apparently lost in transit during a 1 1/2 block walk between offices. (Gosh….I wonder how that happened?) there is now no record of any kind supposedly of this meeting. Part 1 Vaccinosis was a term initially applied to dogs and cats that began suffering from the effects of multiple and what appears to be unnecessary vaccinations. 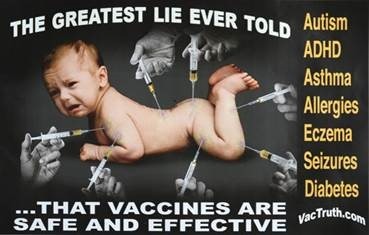 Try as they might, the same manufacturers who also create vaccines for humans, along with the Centers for Disease Control (CDC) and various government agencies could not stop the obvious link to vaccine induced diseases and illnesses that was reflected in the human population also being subjected to multiple vaccinations. Unfortunately for all concerned, the growth of human vaccinosis has expanded to the point where vaccine induced disease is the new “normal”. A heated debate is going on regarding the causality between vaccines, such as measles and anti-hepatitis B virus (HBV), and multiple sclerosis (MS). Brain antibodies as well as clinical symptoms have been found in patients vaccinated against those diseases. Other autoimmune illnesses have been associated with vaccinations. Tetanus toxoid, influenza vaccines, polio vaccine, and others, have been related to phenomena ranging from auto-antibodies production to full-blown illness (such as rheumatoid arthritis (RA)). Conflicting data exists regarding also the connection between autism and vaccination with measles vaccine. 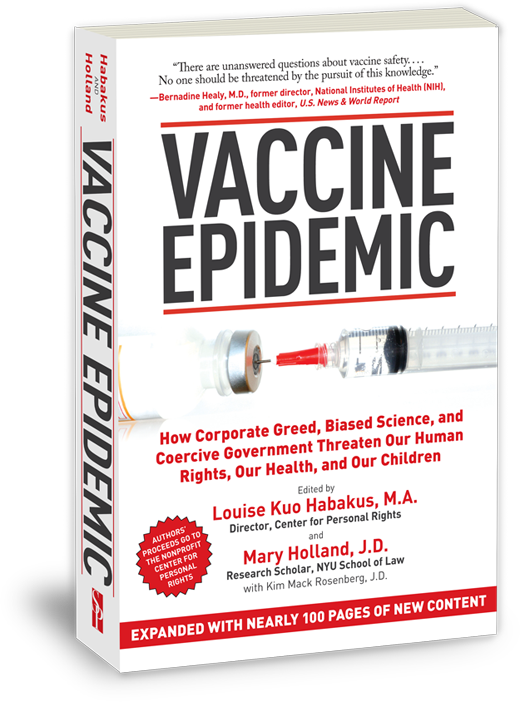 I highly recommend that anyone on the fence about the use of vaccines read the book “Vaccine Epidemic” by Louise Kuo Habakus, M.D., and Mary Holland, J.D.. this book goes into great detail about the process used to get vaccines approved ( which appears to be minimal at best, and deadly at the worst), and also, how we are all guinea pigs in a massive experiment that has left in its wake, a trail of injury and death. Also examined is the failure of the CDC, HHS, and others to factually report the actual number of injuries and fatalities associated with vaccinations of all kinds. Are we: Trading Temporary, Often-Self-Limited Infectious Diseases of Childhood for Permanent Vaccine-induced Chronic Illnesses That Last a Lifetime?